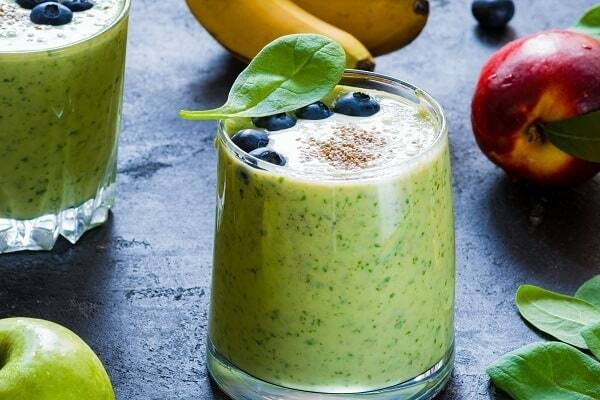 10 Delicious Spinach Smoothie Recipes That Make You Feel Alive! Spinach may be highly nutritious but let’s face it, it’s not one of the most appetizing foods in the world. 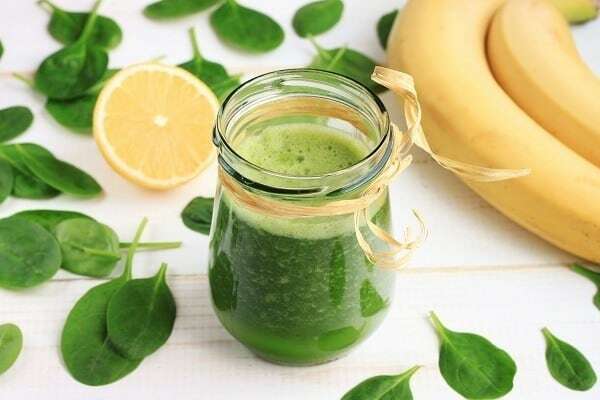 Green smoothies are a great way to add more greens to your diet and with some clever combinations of ingredients, you can disguise the fact that you’re even using spinach. It blends better than a lot of other leafy greens and the taste can be quite mild, especially with baby spinach. This makes it a versatile ingredients to use in smoothies and it pairs well with lots of fruits. Whether you’re looking for breakfast, lunch, snack or even dessert smoothies, spinach can work great in a wide range of smoothies. Read on for some ideas for delicious and nutritious spinach smoothies. Does Blending Spinach Destroy the Nutrients? Is Spinach High in Calcium? Is Spinach High in Iron? Which Recipe Did You Like Best? Whether you’re after a healthy breakfast smoothie to kickstart the day right or an afternoon smoothie snack to see you through to dinner, we’ve got you covered. 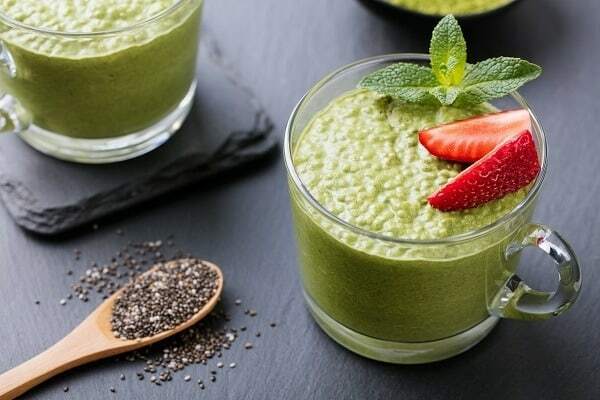 These super nutritious and yummy spinach smoothie recipes will make you completely forget that you’re sipping greens! This recipe is super simple as it only has a few ingredients and takes just minutes to put together. 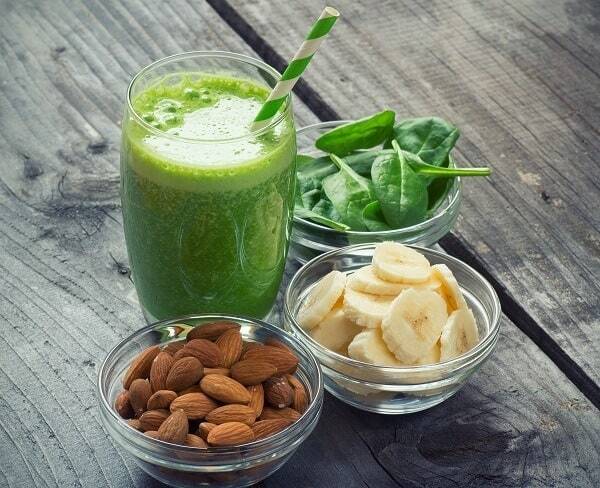 Both banana and spinach are full of fiber and help to keep you feeling full. Plus, the peanut butter adds a protein boost. Perfect for a quick and easy breakfast smoothie! It’s also highly nutritious and a good source of iron and potassium, two nutrients that are don’t always get enough of in our diet. Add all of the ingredients to your blender and combine until smooth. Using ripe banana and baby spinach makes for a really mild tasting spinach smoothie and one that even kids will love. You’ll get plenty of fiber and a nice boost of protein. If you’re new to the idea of green smoothies, this is a great choice to ease you into them. This recipe uses ice but you can swap this out for frozen fruit if you prefer. Before you make this smoothie, you’ll need to have peeled, chopped up and frozen a ripe banana (even if you’re otherwise using fresh fruit). Hull the strawberries and peel and halve the orange if you’re using fresh varieties. Add all of the ingredients to your blende but hold back some of the ice (if you’re using it). This vegan friendly spinach smoothie uses super sweet fruits, including some tropical ones. Using frozen fruits makes it deliciously thick and creamy without the need for yogurt. Coconut water is the liquid base and adds to the tropical vibe of this green smoothie but you can swap it out for water or orange juice if you prefer. This green smoothie is naturally sweet thanks to the apple and banana, so much so that you’ll probably forget about the spinach altogether. This is another good one to tempt kids with as the spinach taste isn’t at all obvious. It’s also super creamy too. Peel, core and dice the apple. Peel and chop up the banana. Add the liquid and spinach(and ground flax if you’re using it) to your blender first and blend. Depending on your blender, you may need to blend more than once. Add the banana and apple to your blender, and ice if you’re using it. Carry on blending until smooth and creamy. If you’re looking for a filling smoothie that will get you through the morning or afternoon, this combination is a great choice. There’s plenty of fiber and protein included so it’s perfect for breakfast or to stop snacking later on in the day. The creamy, nutty taste and texture also makes a delicious dessert style smoothie too. Add all of the ingredients to your blender and combine until smooth and creamy. A lot of spinach smoothies use banana for a super creamy texture but this recipe excludes it altogether. It uses Greek yogurt instead to achieve the same thing. 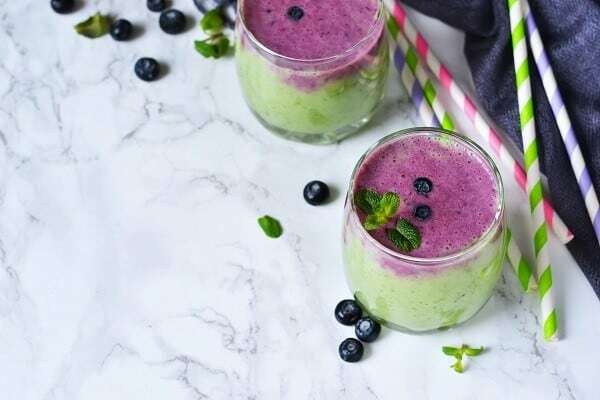 There are tons of antioxidants in this smoothie from the spinach and blueberries, plus a hefty dose of vitamin C.
This smoothie is simple but highly nutritious. The berries add all important antioxidants and vitamin C, while almond milk provides vitamin D and some calcium. Plus, the latter is deliciously creamy too. The optional chia seeds add heart healthy omega 3 fatty acids, protein and even more fiber. Taste wise, the strawberries work really well with the banana and blueberries. Add all of the ingredients (except the chia seeds, if you’re using these) to your blender and combine until smooth and creamy. Serve and enjoy! If you’re using chia seeds as a garnish, sprinkle these on once you’ve served up. On the Paleo diet? 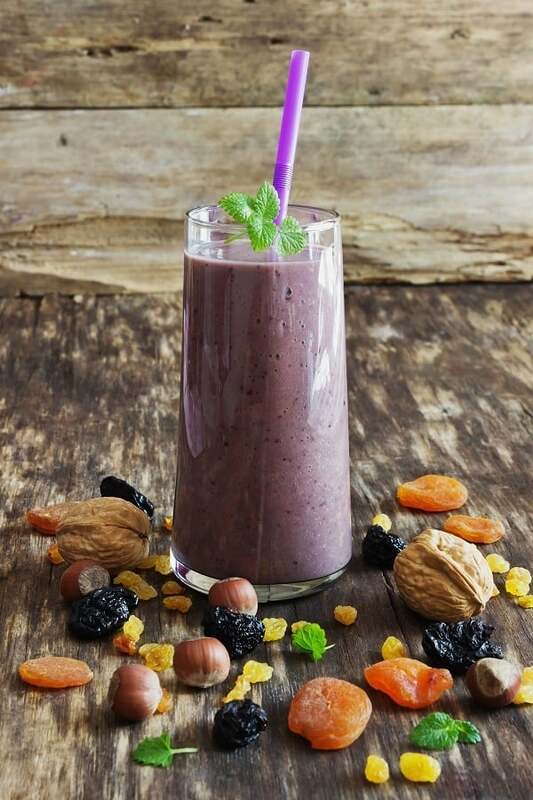 This smoothie is full of ingredients that you can happily consume on this eating plan. Banana, spinach, coconut and almond milk and berries are all Paleo foods. Spinach isn’t your only option for adding greens to a smoothie. You may be reluctant to use kale too but with this recipe, you won’t eat remember it’s there! With these ingredients, this smoothie is great for detoxifying your body. Peel and halve the orange. Add everything to your blender and combine until smooth. Feel like you need to give your body a bit of a spring green? This one is another great recipe for a detox smoothie and it’s an easy one to do too. If you prefer not to use banana, you can swap it out for pineapple instead for even stronger detox benefits. 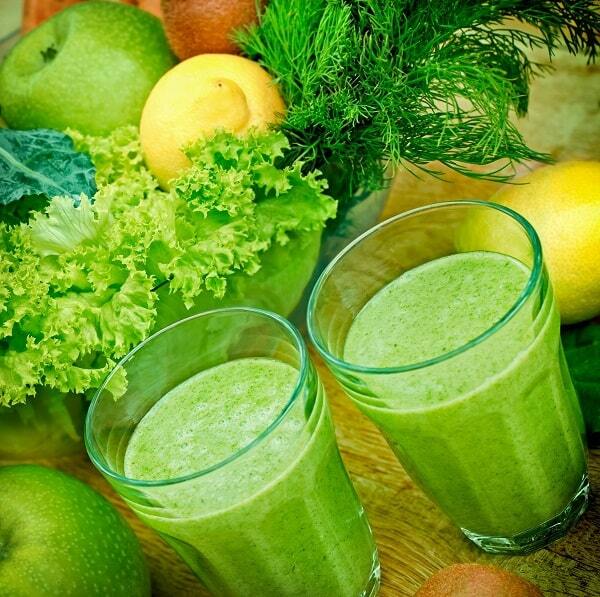 Add the pineapple, apple and spinach to your blender, and squeeze the juice from the lemon or lime. 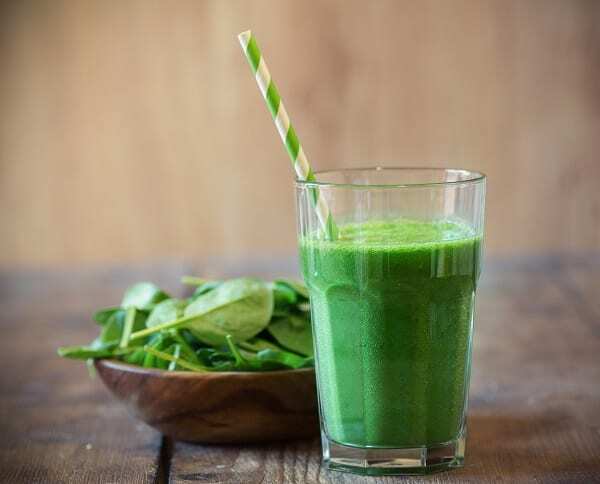 A lot of people are concerned that blending spinach will mean losing a lot of the nutrients but is there actually any truth to this? The argument around losing nutrients is centred on oxidation and the idea that blending for 120 seconds destroys much of the goodness before you even start sipping your green smoothie. While it’s true that you may lose a little bit of the nutritional value, this happens as soon as you start chopping fruit and vegetables and exposing them to the elements in any way. There is also the added bonus of antioxidants that help to protect against oxidation, which means that less nutrients are lost. There is a bit of calcium in spinach and it can help to boost your intake. For a cup of raw spinach, this is only around 3% of your daily calcium needs but that rises to almost 25% when it’s cooked. However, not all of the calcium in spinach is readily absorbed. According to studies, most of it is not actually available for the body to use, especially compared to some other leafy greens, including kale. Spinach can help you on your way to your recommended daily amount of iron, although it won’t provide all of your needs by itself. According to the Centers for Disease Control and Prevention, a cup of raw spinach will provide around 4% of the daily iron needs for a woman. Men don’t need as much iron as women so a cup of spinach provides around 10% of daily iron needs for males. Cooked spinach is higher in iron and a cup can provide as much as 36% of daily iron needs. Spinach also contains oxalic acid, which can bind with iron and make it harder to absorb. Cooking spinach gets rid of some of the oxalic acid or you can team it up with vitamin C rich foods to increase iron absorption. A cup of spinach can provide up to 4g of fiber. Cooked fiber contains even more fiber and can give you as much as 15% of your recommended daily fiber intake. Spinach has a little bit more fiber than kale. For some people, fresh spinach can cause a few digestive problems, including bloating and gas. This is more likely to happen if you’ve increased your fiber intake as spinach is a good source of fiber. On the plus side, spinach can be easier to digest when it’s blended so you may have fewer problems with spinach smoothies compared to raw spinach in meals. As you can see, there are lots of ways to enjoy spinach based smoothies and you might be very surprised to see how delicious they can be. 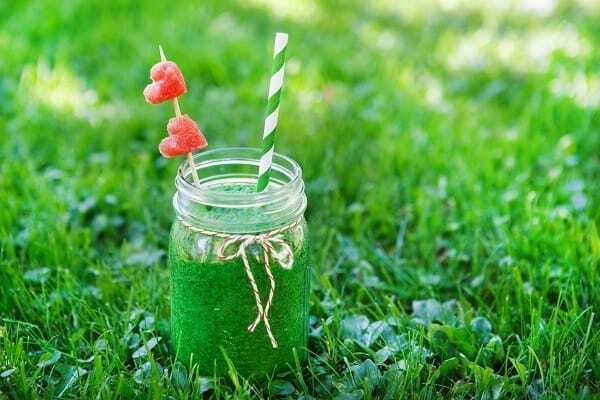 Even kids will love a lot of these green smoothie recipes! 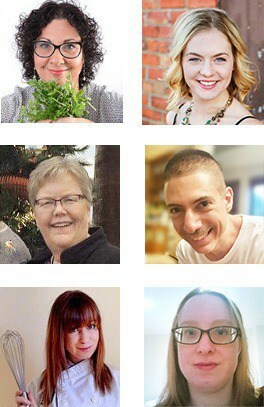 I’d love to hear which one recipe you plan to make first. Let me know in the comments section. And as always, leave a comment too if you have any questions about making your own spinach smoothies and I’ll answer as soon as I can. Please feel free to share this article with your family and friends so they can start creating super healthy and delicious spinach smoothies too.